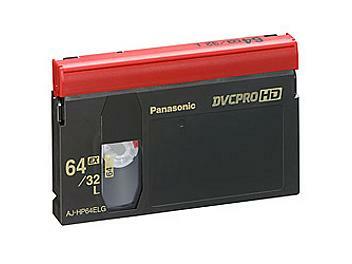 Panasonic DVCPRO HD AJ-HP64ELG Video Tape 64 Minutes. AJ-HP64ELG can offer more than 1 hour of recording time in High Definition. In addition this reliable digital tape offers higher operating efficiency. These features make the new DVCPRO cassette tape ideal for any applications where high reliability and low operating costs are a must.